No other fabric feels as luxurious or ages as well as leather does, which makes it the ideal sofa upholstery material for your living room or office. Weekends Only Furniture & Mattress, your destination in Fairview Heights, IL for top-quality home decor, offers some suggestions for trendy leather sofas to give your living room or office a new look. Weekends Only Furniture & Mattress has an innovative approach—they are open only Friday through Sunday (the prime furniture shopping period) to reduce their overhead and save you money. The rest of the week, they shop for unique, affordable pieces of home decor that surprise and delight. Sleek and modern-looking, this Fairplay sectional offers rich, comfortable leather and luxurious cushions that make couch potato life almost too attractive. Thick, tapered block feet support a contemporary frame upholstered in bonded leather. This sofa is ideal for family TV night or hosting fans during the big game. Featuring a contemporary design in beige leather, the Paulie Bonded Leather Sofa has a durable, hardwood frame and dense foam cushions that will maintain their shape and support for years. Its modern look and unusual color make for a nifty change to your home decor, whether you are in the market for living room furniture or office furniture. 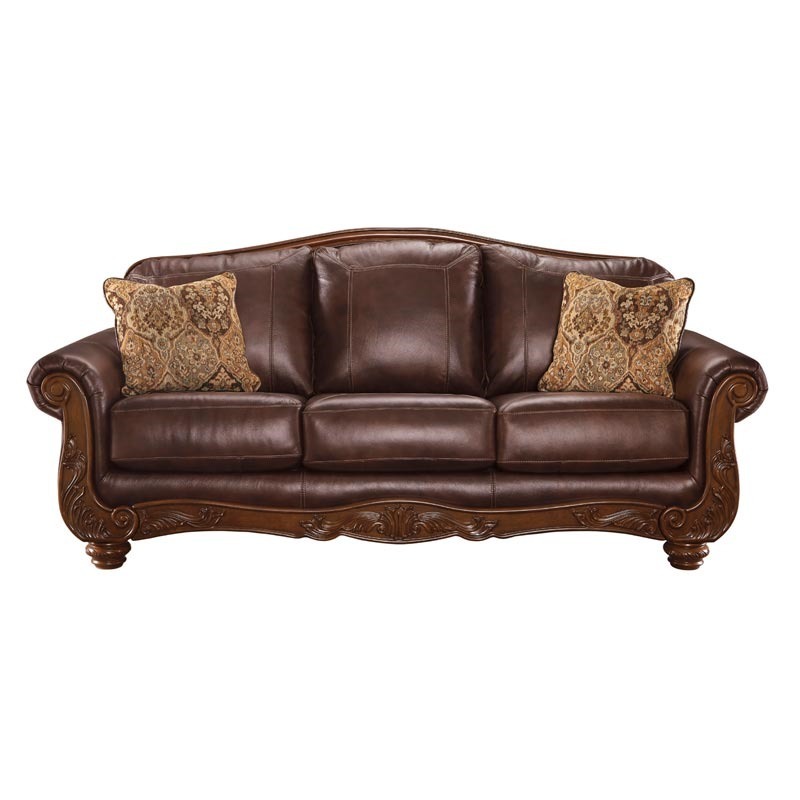 The Ashley Mellwood sofa features luxurious, top-grain leather, roll arms, and detailed wood trim. At 86-inches long and 40-inches deep, it’s the ideal size for a living room or office. This stunning piece features a stately, old-world look that traditionalists will adore. If you can’t decide without taking a seat yourself, stop into Weekend Only Furniture & Mattress when the work week is through. In business since 1997, they have the ingrained expertise to help you choose the perfect piece to complement your existing decor. Visit them online to view their living room furniture, or call (314) 737-4062 to speak to a friendly sales representative about your home decor needs.